Da-dah-DUNNH! The concept of mystery books for kids written at picture-book level may seem counterintuitive at first. 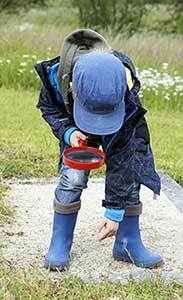 Mysteries are by nature complex, right, so how could they work as picture books? This is especially perplexing for authors trying to create the short texts publishers demand these days. One way to create a mystery for this age is with illustrations playing a major role, often to have the illustrations telling the story beyond the text–possibly leaving clues the intrepid investigator misses at first. If you’re an author submitting picture book manuscripts, you’re told to leave out as many art notes as possible. But you can have them when they are essential to understanding the story. Others construct the mystery combining text and pictures, and others tell the whole story in text, with the pictures adding to the fun. 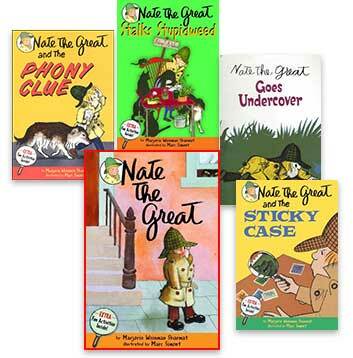 Mystery picture books often use humor and spoof. The ABC Mystery, by Doug Cushman, is a funny, rhyming, alphabet mystery. 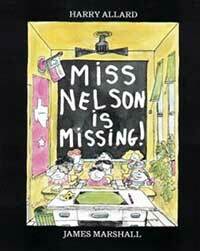 Miss Nelson is Missing is a classic from the 1970s and one of my favorites. Sweet teacher Miss Nelson, who has been facing a misbehaving bunch of students, suddenly disappears and is replaced by the witchy Viola Swamp, who defies the stereotype of a substitute teacher who can be taken advantage of. What has become of Miss Nelson? Detective McSmaug is on the case. With a witty text by Harry Allard and hilarious illustrations by James Marshall, this book still makes me laugh even after multiple readings. You can enjoy it here in a YouTube readalong. You’ll notice that there really aren’t any clues, nor does the reader know the answer ’til the end, though some may figure it out (I didn’t). It’s not written in a tongue-in-cheek, hard-boiled detective voice. But it still builds considerable suspense. The tension increases as we watch the rowdy class transform into a frightened, obedient one. Who Took the Cookies from the Cookie Jar? by Bonnie Lass and Philomena Sturges, and illustrated by Ashley Wolff, uses the schoolyard rhyme to tell a mystery tale. Skunk interviews other animals, all of the American Southwest, to find the culprit. Naturally, each has an alibi. 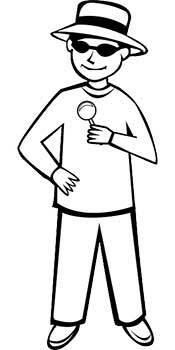 But the reader can pick up some clues. This book is a lot of fun for very young kids and even comes with a song and game instructions. This is one of the mystery books for kids that drops some clues in the illustrations. 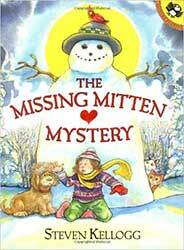 Steven Kellogg’s The Missing Mitten Mystery has stood the test of time. It’s a very simple story about a girl and dog searching for a missing mitten. The girl imagines increasingly unrealistic things that could have happened to it, such as the possibility of it someday growing into a mitten tree. Eventually they find it, but there’s no clear answer to how it got where it got. Whether or not you feel the end is satisfying, it shows how a child’s imagination can be sparked. The illustrations don’t tell a different story than the text. Unlike most chapter book and middle-grade mystery books for kids, picture book mysteries still deal with larger themes, the way non-mystery picture books do. The mystery category isn’t quite as distinct in picture books. Still, they are more plot-driven than a lot of picture books. One that really cracks me up is The Mystery of Eatum Hall, that’s both a mystery and sendup of a horror story. Horace and Glenda Pork-Fowler, a pig and a goose receive a mysterious invitation, and are fattened up by high-tech inventions at a mysterious place. Despite clues, the couple is clueless. This book is full of puns and delightful. There’s also Grandpa’s Teeth, one of those old-books that involves a whole town, the media, and a grandpa who talkths like thith because his teeth are missing. It has wonderful illustrations. Jon Klassen’s I Want My Hat Back is a very short text where the illustrations tell things that are not known to the character. 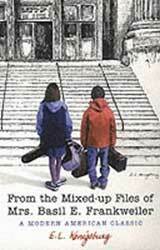 It’s a fun mystery book for kids who may not even be of reading age. In fact, it has appeal for all ages, because readers like to feel like they know more than the character, who in this case is quite oblivious to obvious clues. 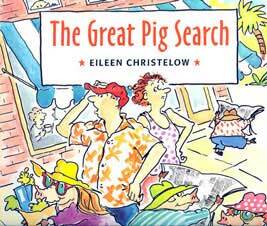 Eileen Christelow’s The Great Pig Search is also a picture book with mystery elements that will give plenty of giggles to kids 4 to 7 and is a good choice if you’re looking for mystery books for kindergarteners. Here, as in I Want My Hat Back, the reader knows more than the silly main characters, in this case adults. The reader gets to feel smarter than they are. 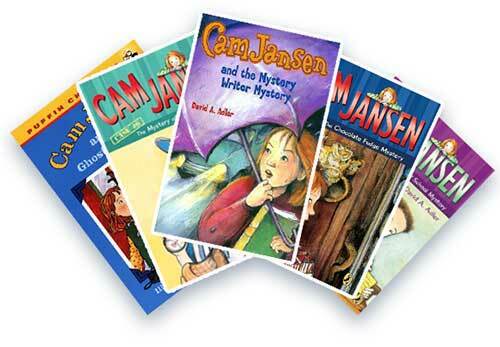 In most mystery books for kids, the child mystery-solver is smarter than the adults around her or him. More traditional types of illustrated kids’ mystery stories that have longer texts and are spoofs of Sherlock Holmes or film noir include the Ace Lacewing books, by David Biedrzycki, and Mark Teague’s Detective LaRue: Letters from the Investigation. Those would be good mysery books for kids who can read on their own some, such as kindergarteners to third grade. There are so many great picture book mysteries that it was really hard to pick from them–though I think there’s plenty of room for more. There’s one about a missing library book–I can’t remember the name of it– but it’s a clever idea and is well done. 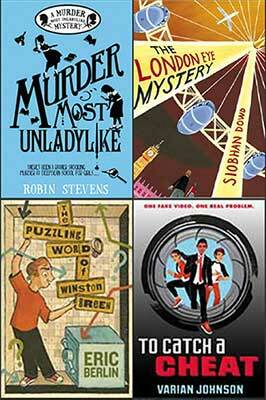 I’d love to hear about other favorite mystery picture books. 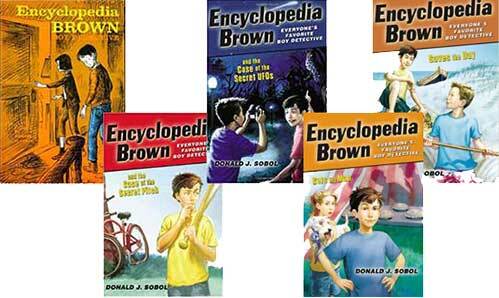 -Mystery books for kids under age 7 can rely a lot on artwork to tell the story. 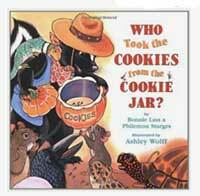 -Picture book mysteries are more plot-driven than most picture books. Character development is not the main thing, nor is a deeper theme, though they can touch on deeper themes. -A picture book mystery can take traditional picture book formats, such as using songs, alphabet books, rhymes, and detective types of stories. These books, with their elements of suspense, are, like the best picture books, enjoyable for adults as well. This entry was posted in children's books, mystery books for kids, picture books, writing and tagged mystery books for kids, mystery picture books on February 20, 2016 by admin.